There is an overall decline in antibiotic effectiveness across the world. 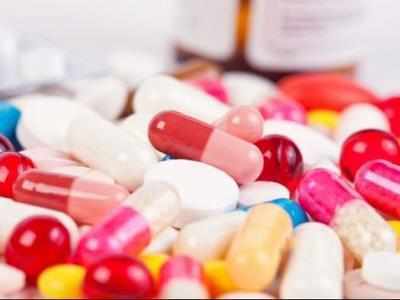 While the US Center for Disease Control and Prevention (CDC) estimates that antibiotic resistance is responsible for more than 2 million infections and 23,000 deaths each year in the US, the `State of the World’s Antibiotics2015′ estimates that 58,000 neonatal sepsis deaths are attributable to drug resistant infections in India alone. Director of the Antibiotic Resistance Action Center at the George Washington University’s Milken Institute School of Public Health, Lance Price, says we need aggressive global reduction targets for antibiotic use in people and animals. A recent study suggests contaminated meat may be spreading superbugs through the food chain and the environment, potentially causing hard-to-treat infections in people. Farms supplying India’s biggest poultrymeat companies routinely use antibiotics classified by the World Health Organisation as “critically important” as a way of staving off disease. You have advised Americans to stop buying animals that are being fed antibiotics to get rid of the `superbug’ syndrome. Do you think that we should switch away from animal protein to plant protein entirely because studies have shown that even farm chickens have been fed antibiotics? I think that we need to do two things. Whenever possible, consumers should purchase meat or poultry products raised without antibiotics. In the US, consumers look for labels that read `raised without antibiotics’ or `no antibiotics ever’ to name just a few. This way we are sending a clear signal to producers and food companies that these are our preferred products.Reducing antibiotics anywhere (humans or animals) helps lessen antibiotic resistance and helps preserve the utility of our current arsenal of drugs just a little bit longer. The second thing we need to do is set aggressive global reduction targets for antibiotic use in people and animals. It’s not enough to just rely on market forces to fix the situation we are in. The UN General Assembly unanimously supported a declaration calling for better stewardship of drugs and countries promised to put plans in place to do this. But it fell short in not setting goals for use. What do you think is the way out of this conundrum? What are our options? We have a way forward. Both The Netherlands and Denmark are models for the rest of the world to follow when it comes to producing lots of food animals while using very few antibiotics. What we need is the political will globally to emulate what they have been able to achieve. Do you think drug manufacturers should be banned from selling antibiotics to poultry farms? I think that only veterinarians should be able to prescribe antibiotics for use in farm settings. And even then, it should be under the strictest of cautions. Antibiotics should never be used as cheap production tools to grow animals faster or compensate for overcrowding or unsanitary living conditions. Antibiotics should only be prescribed if there is a known disease or exposure to disease.